Read our interview with Claire. This Book is Winner Of The Desmond Elliott Prize 2015. "Fuller handles the tension masterfully in this grown-up thriller of a fairytale, full of clues, questions and intrigue." (The Times). "Extraordinary...From the opening sentence it is gripping." (Sunday Times). 1976: Peggy Hillcoat is eight. She spends her summer camping with her father, playing her beloved record of The Railway Children and listening to her mother's grand piano, but her pretty life is about to change. Her survivalist father, who has been stockpiling provisions for the end which is surely coming soon, takes her from London to a cabin in a remote European forest. There he tells Peggy the rest of the world has disappeared. Her life is reduced to a piano which makes music but no sound, a forest where all that grows is a means of survival. And a tiny wooden hut that is everything. Claire Fuller was born in Oxfordshire, England, in 1967. She gained a degree in sculpture from Winchester School of Art, but went on to have a long career in marketing and didn't start writing until she was forty. Swimming Lessons is her second novel. 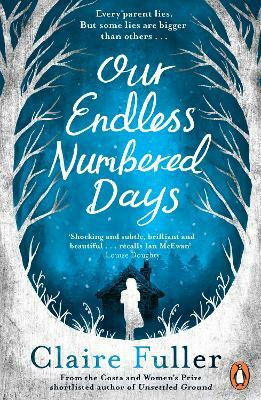 Her first novel, Our Endless Numbered Days, won the Desmond Elliott Prize. She has an MA in Creative and Critical Writing from the University of Winchester and lives in Hampshire with her husband and two children.